In 1923, architect J.E.R. 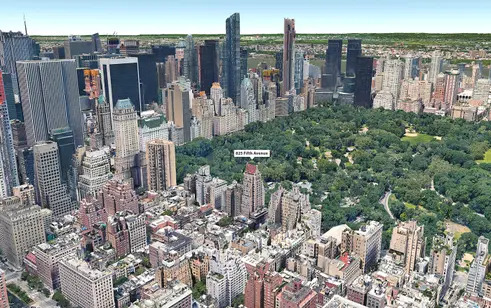 Carpenter said that Fifth Avenue “would be greatly improved in appearance when deluxe apartments would replace the old-style mansions.” His new construction over the next several years was instrumental in bringing that prediction to pass, and key among them is 825 Fifth Avenue. 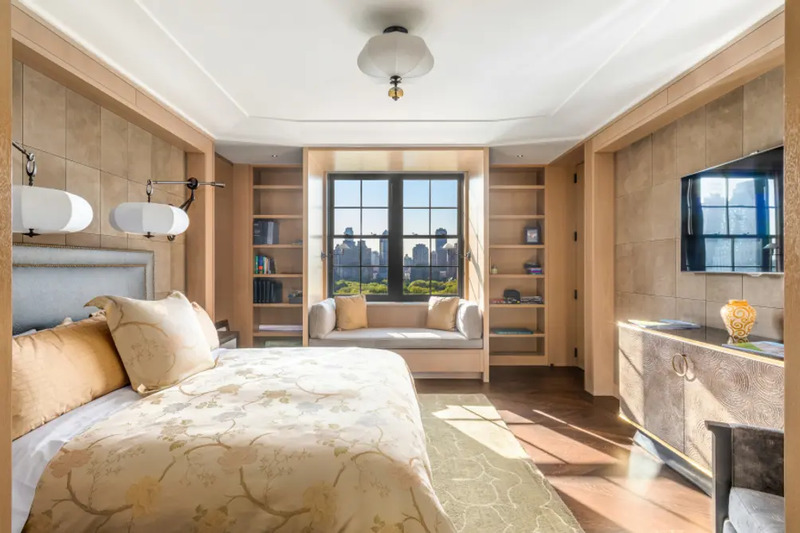 Today it is described at “one of the most attractive residential buildings on Fifth Avenue” by architecture critic Carter Horsley and considered one of the city’s most discerning co-ops. 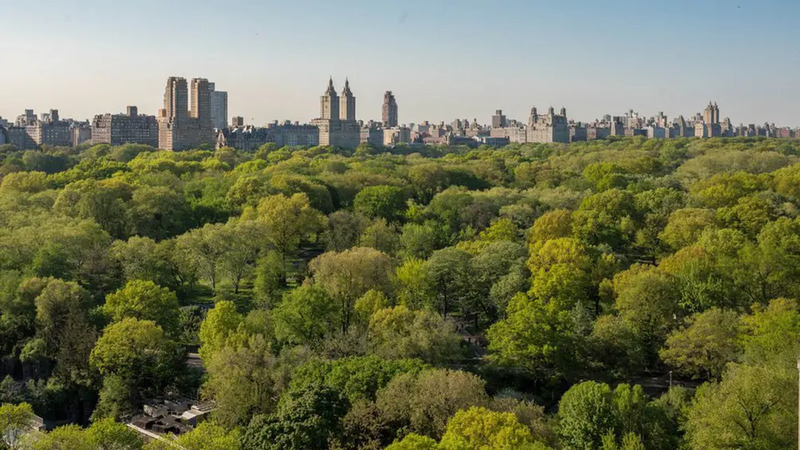 Its enviable location puts it across the street from Central Park and a short walk away from premier Madison Avenue shopping and uptown dining (e.g., Daniel and Harry Cipriani). Following an all-encompassing two-year gut renovation, apartment #17AB has gone beyond deluxe with cutting-edge convenience that doesn't sacrifice the highly desirable prewar elements. 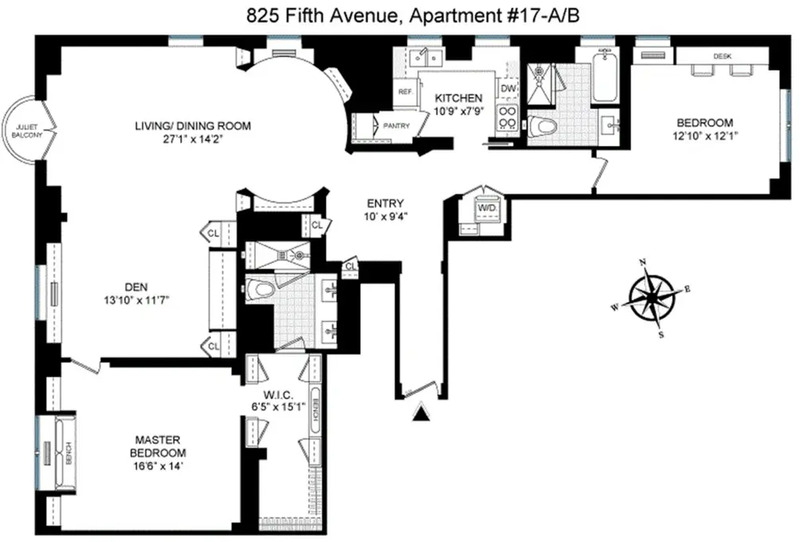 The two-bedroom, two-bath corner unit shares a high floor with only one other apartment for excellent privacy. 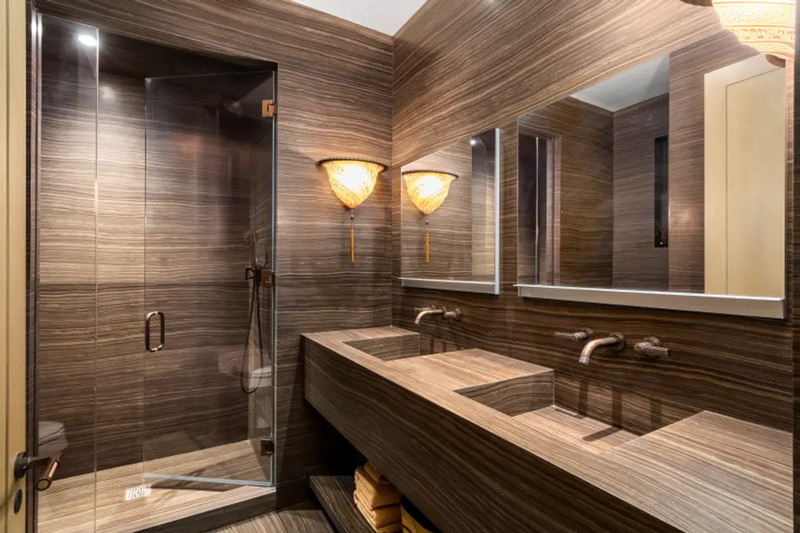 The gut renovation by AD100 member Ike Kligerman Barkley Architects includes state-of-the-art mechanicals, extensive sound-proofing, custom millwork and storage, and Savant-controlled electronics, audiovisual systems, and shades. It is on the market for $9.85 million. 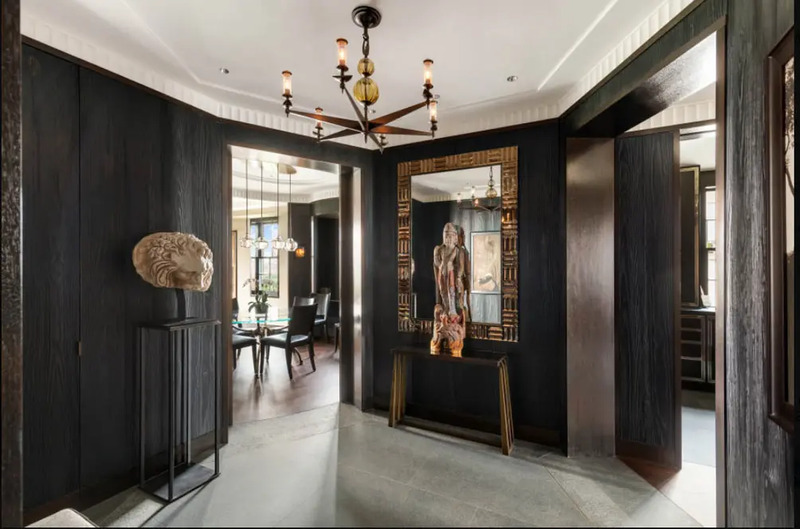 The apartment opens to a gracious entry lobby. 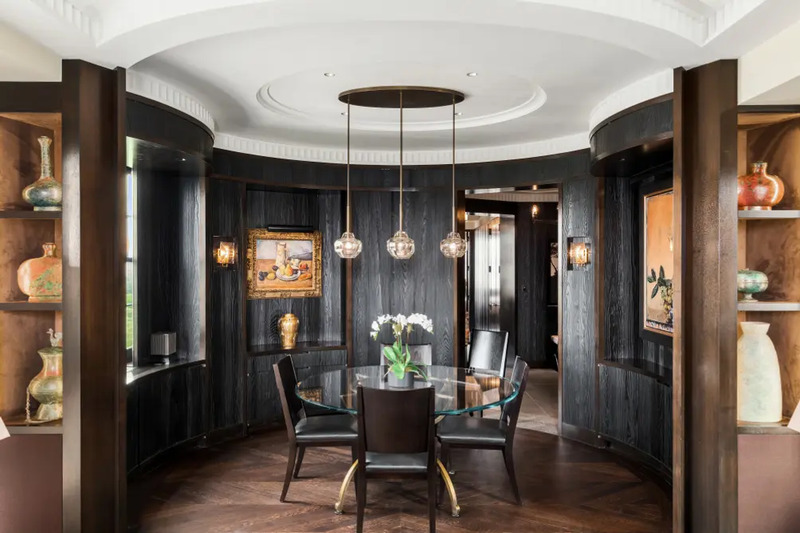 An elegantly paneled living and dining area sits at the heart of the home. 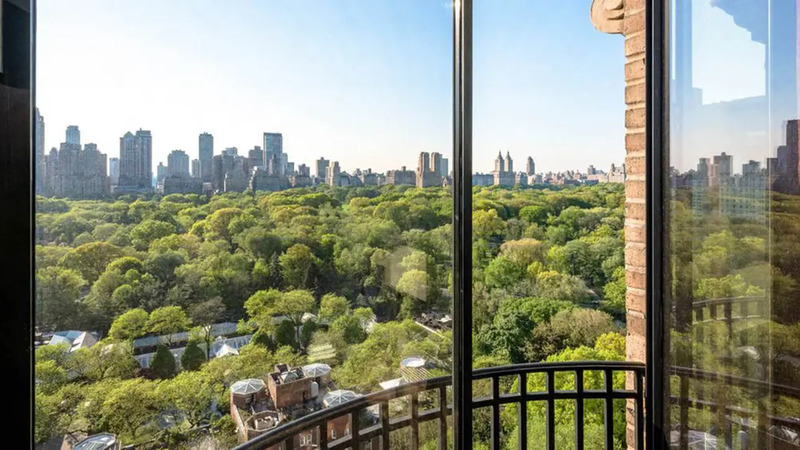 A Juliet balcony just off the living room directly overlooks Central Park. 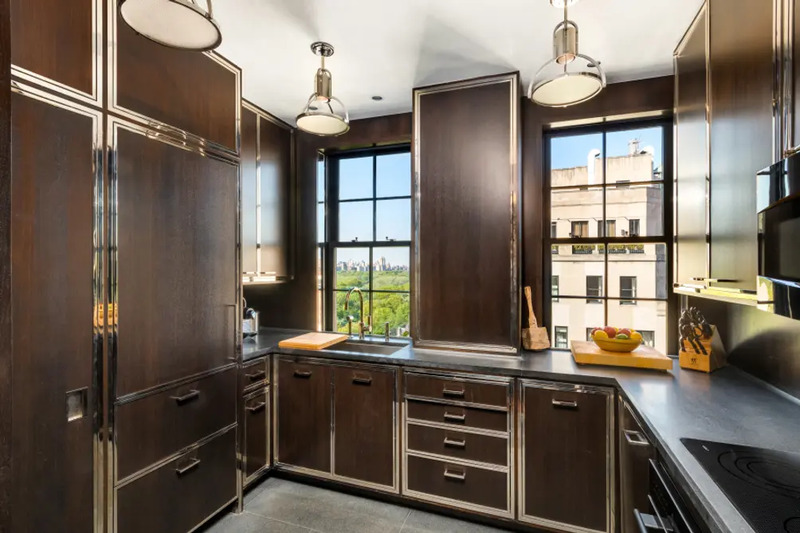 The bright, windowed kitchen has custom mahogany cabinetry, its own pantry, and top-of-the-line appliances. 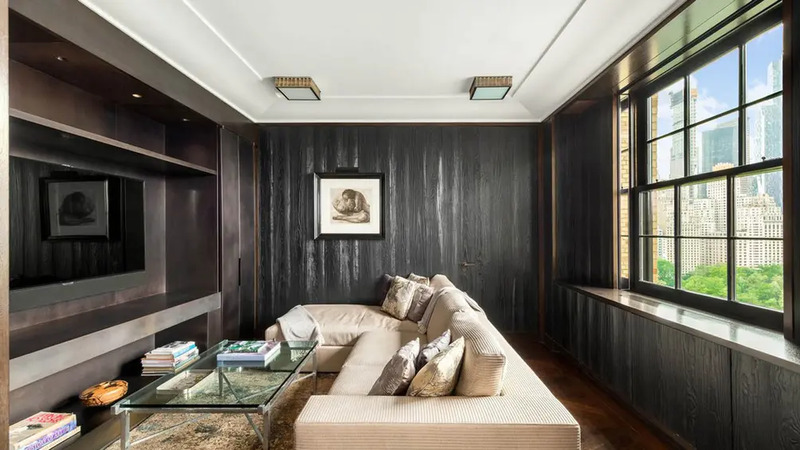 An elegantly paneled library/media room leads to the master suite. 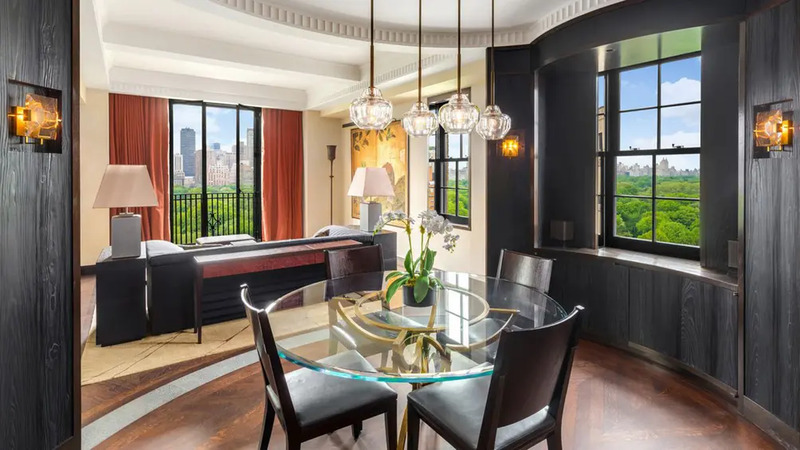 The leather-paneled master suite has its own window seat directly overlooking Central Park. The spa-like master bath is outfitted with Santorini marble slabs, glass fixtures, twin sinks, large shower, and radiant heated stone floors. 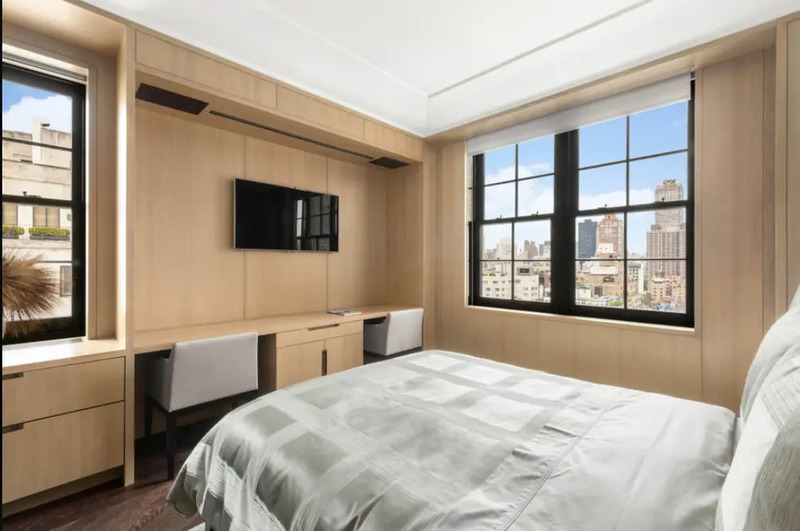 The secondary bedroom has impressive space and open city views. 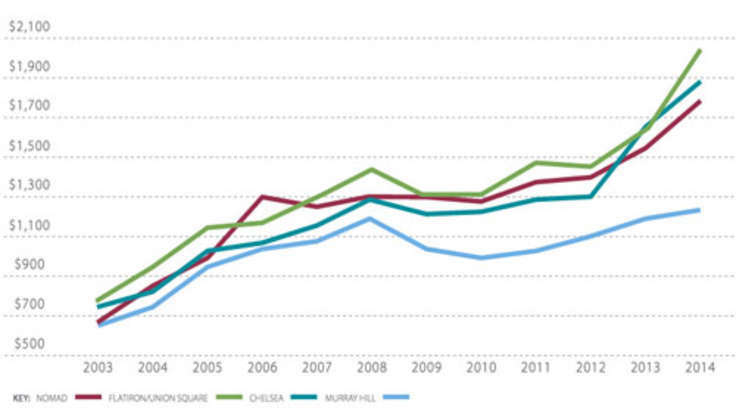 Eight out of ten new, custom-made windows have unobstructed Central Park views.